In the past year and a half, Why Weight Ireland has helped hundreds of people lose weight through the online food & exercise diary while also helping and working with hundreds of clients a week in the studio in Tinahely, Wicklow. But like most businesses, money is always a factor and I’m no different. I’ve never had the funds to be able to advertise the business across the country other than using social media to the best of my abilities but this is limited to what I can do. One day I will be able to advertise on a grand scale, hire a PR company and really get the name out across the country but until then the business will continue to grow each day, helping more and more people reach the healthy ‘place’ they want to be in. Each day I receive mails from people from all the different counties of Ireland who have either heard about the business through a friend or have seen it mentioned on Facebook or Twitter etc. but the best form of advertising for me has been through ‘word-of-mouth’ – the power of a human recommendation out shines any form of advertising that I could ever think of. Although a year and a half old, to some people Why Weight Ireland is a new weight loss business in Ireland and are only hearing about us for the first time. 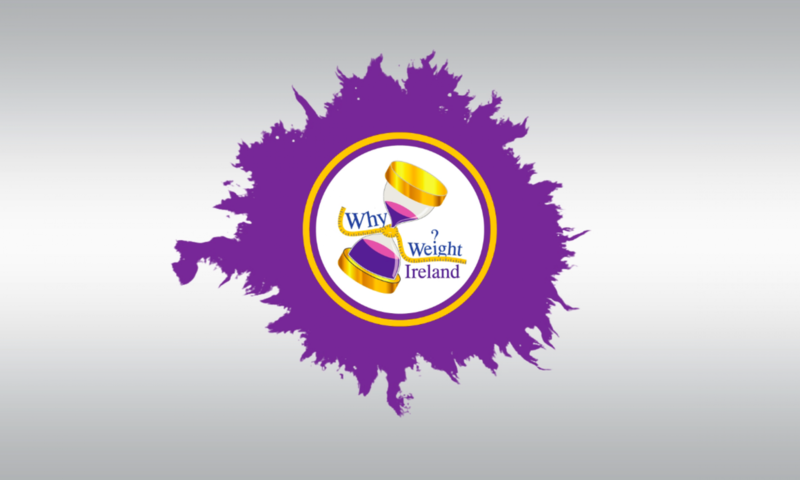 Thanks to your positive feedback and your recommendations Why Weight Ireland is successful so thank you very much. All the hard work does pay off. I’m not talking about financially but a personal reward. For me, seeing someone go from feeling sad and over weight to a happy, confident and healthy person is the most rewarding feeling ever. It is what makes me get up every morning. Thinking about helping just ONE person – Imagine that person is successful in losing weight and changes from feeling down and over weight to being healthy and confident. That person, if they had children, would usually pass on their new thoughts, beliefs and habits to their children and in turn making them happier and healthier. If that person didn’t have children, the person could have the new confidence to start going out and meeting a partner or making new friends. Since launching Why Weight Ireland I have been very lucky to have seen both of these scenarios first hand and it is such a rewarding and remarkable feeling and I am very privileged to have the chance to be part of people’s lives in that way. I think this is what makes Why Weight Ireland a successful business – I make sure to always respond to every single email personally and honestly. I’m not a sales person and I never tell anyone that they have to become a member because it’s the best weight loss plan or if they don’t really want to sign up. I’ll also never push someone into doing anything if they aren’t ready. If someone WANTS to lose weight then I am here for them and offer them all the tools that they possibly need to hit their goal weight by learning how to eat healthily and also getting fit. Losing weight for me is very much like running a business. I had to be determined and almost regimental every day to make sure I ate the right foods and not eat too much and got my exercise done etc. and running the business is very similar. I have to ensure that certain things get done every single day, I have to be consistent and always willing to push myself even when I don’t feel like it because if I don’t push the business no on else will and thats the same as dealing with weight loss – you have to do it and push yourself as no one else can do it for you. So I suppose, losing all the excess weight has changed my life in so many ways, and ways that I’m only realising as time goes by, although I’ve been at my goal weight for over three years now, it’s certainly helped me in all aspects of my life. The feeling that I felt that day I hit my goal weight is a feeling I will NEVER forget. It’s up there with the feeling of getting married and giving birth (twice) or should I say the moment of seeing and holding your child for the first time :). And I want others to feel the same when they hit their final goal. Never give up on your dream. No matter what….